Hey! You might be reading it on your smartphone. And if you’re not, your phone or tablet is just beside you. How do I know? Mine is always with me as well. This is the story our time: we are all dependable on our smartphones and spend lots of time online on them. 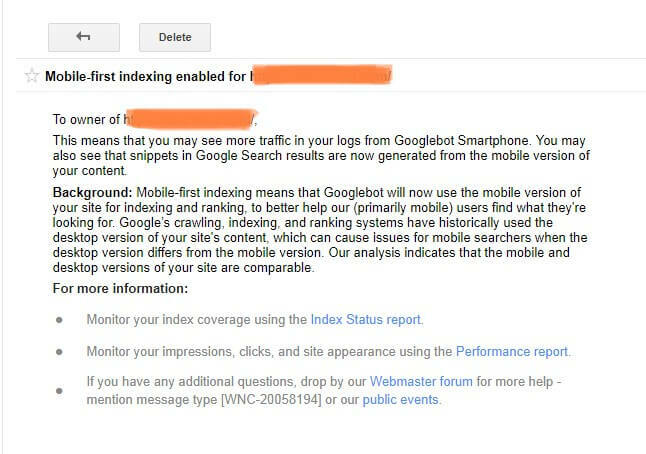 So How to Find Out if Your Website is on Mobile-First Indexing? 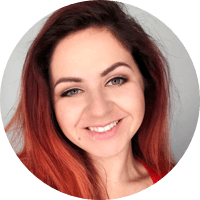 What if My Website is Not Mobile-friendly? Ok, I’m in. What’s Next? This means that Google will use mobile versions of the websites for indexing and ranking. Traditionally, a desktop version was used. And even now it’s much easier to analyze desktop websites since many tools are configured that way. But with the growing popularity of mobile devices and time we spend browsing the Internet on them, it makes total sense for Google to make sure websites are mobile-friendly. Now we are still in a transition period, and some sites have already been moved to mobile-first indexing while others are using desktop versions as primary ones for indexing and ranking. Think of it like a library that can have one copy of every book. Initially, it was all print books. As ebooks became popular, it starts to replace the print versions with ebooks. Still one library, mix of both types but over time, it'll be mostly ebooks. 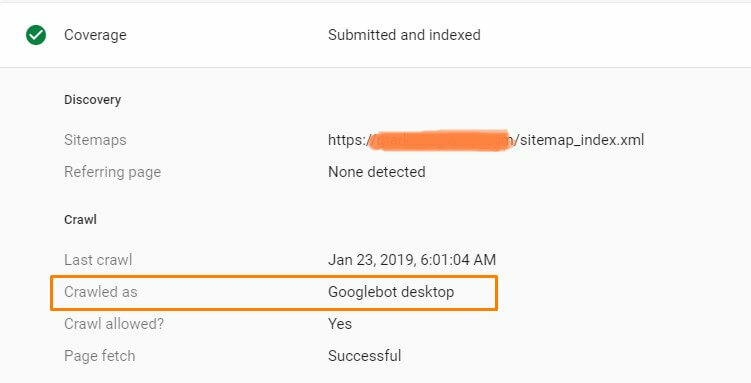 Recently Google has started to send batch notifications for multiple websites under a single GSC account, so you might receive a little bit different message. The idea behind this is to see from which device Google visits your website. You can find it in the Inspection Tool in Google Search Console. What are you waiting for? It’s 2019 already! No matter if your website is ready or not, it will still be moved to mobile-first indexing. Mobile-first indexing and mobile-friendliness are different concepts. And if your website still has usability or speed problems on mobile devices, I would advise prioritizing this. Nobody likes slow websites and pages that can hardly be read on a smartphone. Do you? 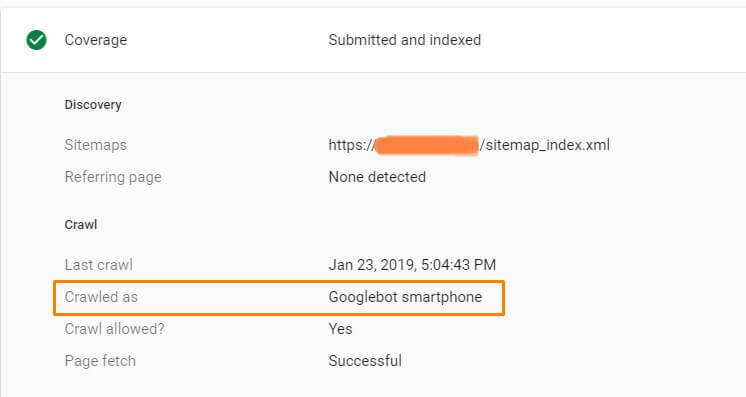 Your mobile site is added to Google Search Console. Note that if you get alerts that some of your pages are not mobile-friendly, it doesn’t necessarily mean they are not. Check the pages with this Google tool and see what it says. Embrace the changes and let your website provide seamless user experience on mobile devices. Mobile-friendliness is not going anywhere. So you’d better be ready for it.